Here’s the second in the series of graphics I’ve produced for my Pint of Science event at La Raza Cambridge (UK) in a few weeks’ time. 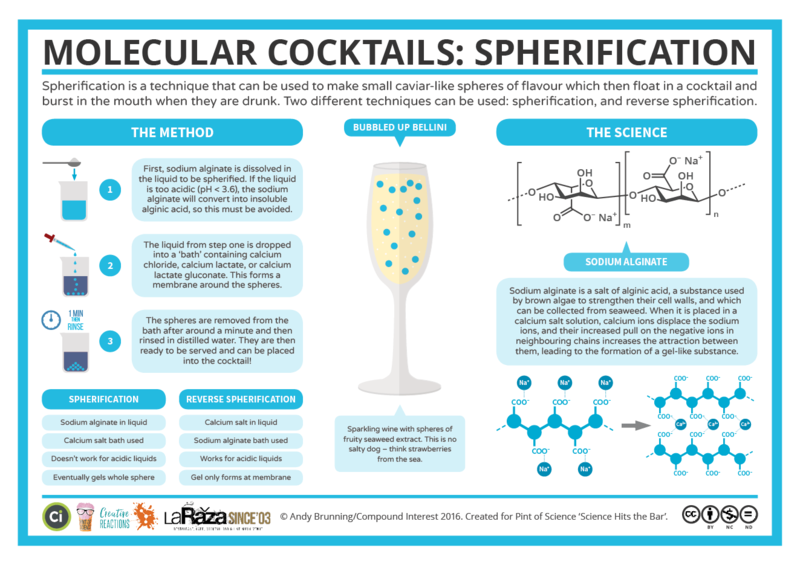 Today’s graphic looks at how chemistry can help to make caviar and spheres in cocktails, and the chemical agents used to do it. Unfortunately, the Pint of Science event itself is now sold out, but I’m sharing the graphics here, and there’ll be more detailed posts to go with them after the event has happened! 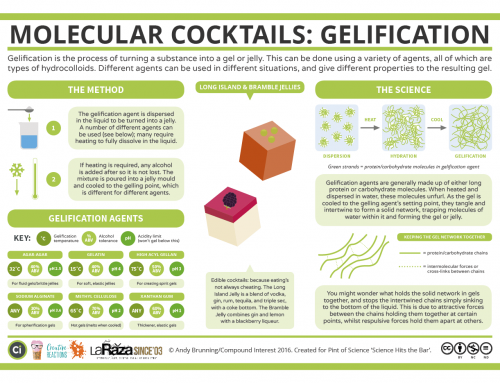 If you missed the first post, on the chemistry of cocktail foams, you can catch it here. [Edit 27/05/2016: More detailed post now below! ].